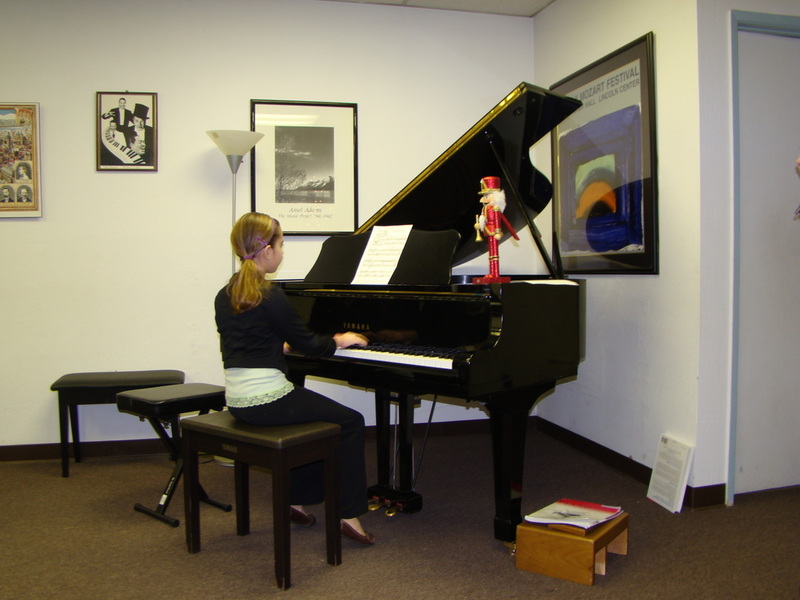 All Students are encouraged to perform in the Studio's recitals. These events are varied and will be noted in the studio website. We have at least two recitals per school year. Each year, the National Guild of Piano Teachers (the teacher division of The American College of Musicians) holds this worldwide event. Although it is referred to as an “audition,” the students are not actually auditioning for anything. They learn anywhere from one to twenty pieces which they play by memory for a judge. If the student is at an intermediate level (or higher) they are asked to learn a balanced program, representing all the compositional eras in piano music (Baroque, Classical, Romantic, and Contemporary). Each pianist plays alone in the room with the judge. (No parents or piano teachers allowed)! The judge fills out a score card and writes some comments which we will review with the student after the audition. Each person receives a pin and a certificate for participating. Guild will be held the second or third week of May. All participants will be given a specific appointment time.